But, there is another party in Pennsylvania who has been forcing the reduction of executor fees under certain circumstances and if you are planning your estate, or if you have been appointed as an executor this is something that you want to know about. So who is this mysterious party with the power to reduce executor compensation in Pensylvania? Before I answer, a little back gound is in order. For many years, executors charged estates in Pennsylvania a straight percentage of the estate and that percentage was often as high as 5%-6%. However, this did not always produce a fair or just result. In many estates, where there are very simple assets (such as bank accounts) and few beneficiaries, the estate administration (the executor's job) was much simpler than an estate administration where the decedent owned a small business, real estate of various types and where there were numerous beneficiaries. Consequently, consumer pressure has in recent years, generally resulted in the negotiation of executor's and attorney's fees in smaller and simpler estates. Family memebers may also be highly skilled professionals who can help, or they may be willing to perform certain tasks that reduces the time commitment of the law firm. Unlike some states, Pennsylvania has fee guidelines - they must be reasonable, but there are not set fees. This allows executors to negotiate fees with lawyers up front based on a variety of factors. Most clients will not want to pay a set percentage. Rather, a set fee for all of the work, or an hourly fee are preferable. And, executors will often take a reduced compensation rather than risk family discord. However, for those who have never served as an executor, the often difficult and time consuming job seems simple. So there is often tension between family memebers, beneficiaries, and the executor so it is best to stay within the fee guidelins wheneever possible. But, as I mentioned, there is another party in Pennsylvania who has an interest in executors' fees and the power to often compelle a change. Who is this mystery party? The State of Pennsylvania itself. And there is more than one branch of the government with an interest in executor fees. Since executor's fees are a deduction, the Pennsylvania Department of Revenue (Inheritance Tax Section) has an interest in making sure that the executor does not over charge and can and does challenge or disallow excessive executor fees. However, in any case where the will or trust provides for a charitable bequest of a fraction of the estate, or where there is a large gift, the Attorny General's office stands in the shoes of the charities and must review all such estates. The AG's office have been very aggressive in policing and disallowing executor fees where charities are involved so be sure to take this up with your advisors before you begin to act. So the answer to the question is that executor fees are being reduced by the State of Pennsylvania where either the AG's office, or the Inheritance Section feels that they are excessive. David M. Frees III practices in the areas of trusts, estates, and estate and asset protection planning. 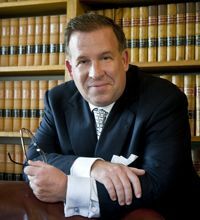 He frequently advises executors, trustees, and beenficiaries about matters related to trusts, estates, inheritance and estate tax, executors fees, and related matters.